Outlander Season 4 spoilers are out. Diana Gabaldon (renowned author of the beloved Outlander book series) has a lot going for her at the moment. The novel recently made the Top 100 list of PBS’ The Great American Read. As if that wasn’t gratifying enough, there’s more. Not only did the beloved novel make the list, it cracked the Top 10. Even more noteworthy is the fact that among the Top 10, only Gabaldon and Harry Potter author J.K. Rowling are among the living. Diana Gabaldon sat down to talk about this and more in a recent interview. 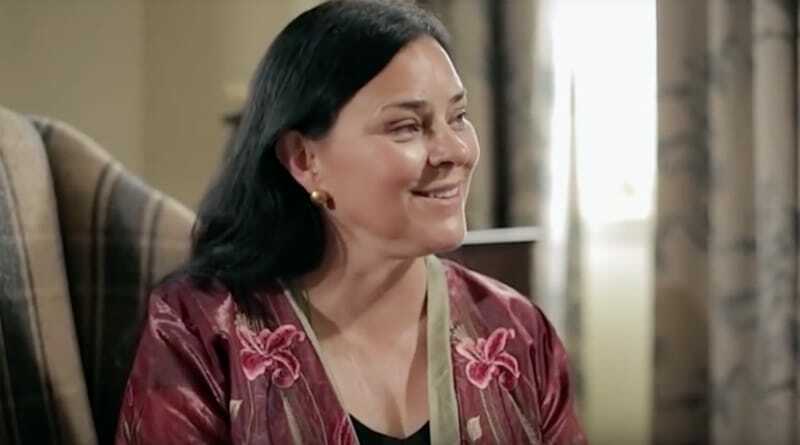 Diana Gabaldon recently sat down for an exclusive interview with Parade. In the interview, Gabaldon spoke about Outlander Season 4. Viewers are itching to know Claire and Jamie’s fate. Characters like fan-favorite Murtagh are also on the minds of many. Speaking of Murtagh, viewers will be glad to know that he will be seen in Season 4. This is quite a deviation from the books. In the Outlander book series, Murtagh meets his end at Culloden. Whether it’s shows like Game of Thrones or The Walking Dead, writers have certainly taken some liberties over the years. While the source material is a valuable reference, it’s not the be-all and end-all. Characters that die in the books/comics live in the TV adaptation – and vice-versa. For now, at least, it looks like Murtagh will be the latest to benefit from this trend. At the conclusion of Outlander Season 3, Claire and Jamie survived the shipwreck, only to be stranded in a foreign land. In the minds of fans, Claire and Jamie can survive anything as long as they’re together. In that sense, whatever perils await them, at least they will face them together. 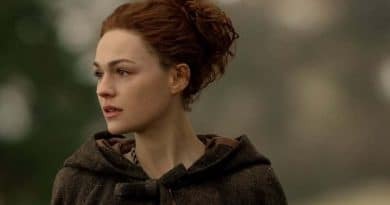 Outlander Season 4 will focus on the fourth book in the series, The Drums of Autumn. Essentially, Claire and Jamie have moved from Scotland and Jamaica to the American Colonies. While Claire has lived in America, she did so in the future, not the past. As headstrong and stubborn as Claire and Jamie can be, viewers can surely expect some friction between the protagonists and their new environment. With things like slavery and conflict with Native American tribes occurring in the colonies, there will be plenty for the Frasers to sink their teeth into. When does Outlander Season 4 premiere? Outlander is easily one of the most popular series currently airing. With shows like Game of Thrones on an extended hiatus, many viewers are looking for similar shows to fill that void. Outlander is certainly one of them. Viewers will be able to catch the new season when it premieres on Starz on November 4. Come back to Soap Dirt for the latest Outlander news and spoilers.